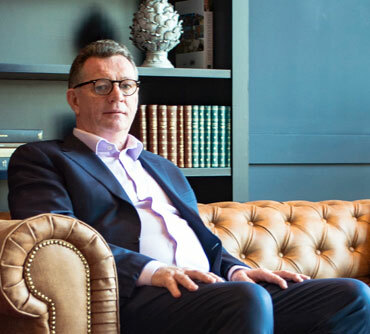 About Aidan Brady & Co.
Aidan Brady & Co provide a nationwide design and project management service specialising in the hospitality and retail industry. For me it all began peeling potatoes in my local hotel , then progressing on to Hotel college and working in the hospitality industry for 20 years in 5 different countries , then years later going back to night classes to learn cad design.I love my job and have been fortunate to work with great companies in a wide range of businesses over the past 20 years including hotels, coffee shops, cafes, bars, restaurants, delis and kiosks. Our approach is simple – we believe in building a strong rapport with clients during the early stages of a project , then growing and maintaining that relationship throughout the implementation process and beyond. We offer the individual skills of experienced specialists in facilities planning, commercial kitchen design, spatial awareness, seating and ergonomic equipment layout. Detailed planning is delivered in 2d and 3d CAD drawings and rendered in full colour. We work together as an integrated team to produce a highly functional and creative design solution tailored to your needs. We have been working with great people all over Ireland for 20 years and have built up a strong client base, we would love to help many more people , please get in touch today by logging on to my website at www.aidanbrady.ie. I look forward to your call.